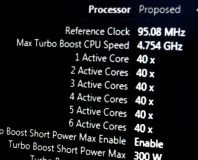 Intel recently released the Core i7-2700K, which supersedes the 3.4GHz Core i7-2600K by 100MHz. We’ve yet to get our hands on one, so we don’t know whether it overclocks as well as current Sandy Bridge CPUs, which usually go to 5GHz on air if you’re willing to use plenty of vcore. However, YoyoTech has stock at the moment and is running a special offer over the weekend. Order from the site and you’ll get a 5 per cent discount on what is already a competitive price for the new CPU. The offer ends midnight Sunday (ie, one minute before the first minute of Monday) so you’ll need to move quickly. According to Intel there’s no difference between the two CPUs other than one uses a 35x multiplier and the other a 34x multiplier, and that the i7-2700K Turbo Boosts to 3.9GHz rather than 3.8GHz. Both CPUs share the same stepping (D2) and the same TDP, for example. Tempted by the offer, or happy to stick with what you’ve got an wait for Ivy Bridge or Piledriver? Let us know in the forum. 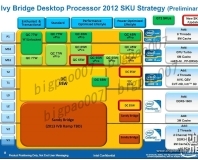 A few authentic-looking screenshots reveal details of Intel’s next-generation Ivy Bridge processors. 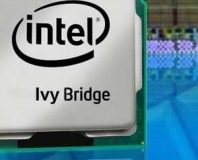 Everything you need to know about Ivy Bridge, six months before you need to know it.